In today’s tech powered world, there is nothing more important than ensuring that your IT system is running smoothly. IT infrastructure which include hardware, software, networks, servers, firewalls and routers among other IT equipment make it possible for you to develop, deliver, monitor and even control your services. Application programs like web browsers, databases and word processors perform specific functions not only for the user but other applications as well. The success of your business or organization depends highly on the health and performance of your tech systems hence the importance of having an effective infrastructure and application monitoring solution in place. 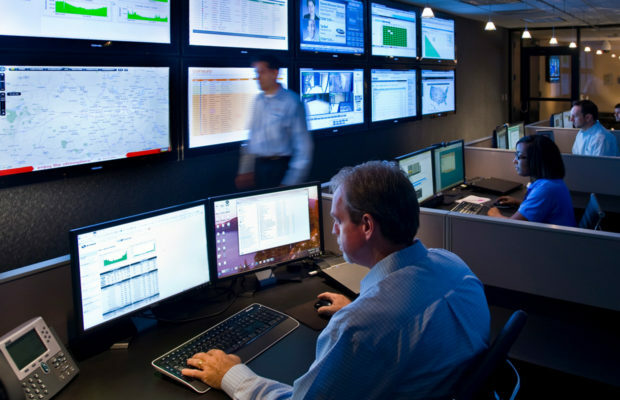 What Happens In Infrastructure & Application Monitoring? IT infrastructure involves complex equipment, systems and processes which needs to be well organized and coordinated at all times. Monitoring is an act of continually collecting and reviewing relevant data about your infrastructure so that you understand their status and also quantify progress towards your set objectives. Application monitoring is the process of identifying, measuring and evaluating the performances of your system applications to ensure that they are performing as expected and within the scope. This is done using specialized tools or APM software that is integrated within the application that needs to be monitored. IT landscape is rapidly changing and so are the tools and approaches of monitoring it. While the objectives of monitoring remain the same, a lot has changed in terms of IT culture, the way application are deployed and the increasing numbers of infrastructure that needs to be monitored. Applications are no longer confined to on-premises but in the cloud, multiple clouds or a mix of all of them. There is also the rise of microservice software architectures, virtual machines, containers and serverless applications which may be more efficient, easy to update and secure but very complex to monitor. Manual monitoring of your IT infrastructure is still possible on a small network but there are several monitoring tools that not only give a wealth of information about the devices being monitored but have good alerting and reporting systems as well. Monitoring processes have grown complex and hard in recent years and they will continue to be so as tech advances continue to be witnessed. Despite this, monitoring is still a very important aspect that should never be ignored in any organization. Given that many organizations deploy workloads both on-premise and in the cloud, monitoring has also evolved and are able to automatically monitor both infrastructures at the same time. Application performance monitoring solutions are no longer designed to only identify and fix performance problems but ensure that applications and services are operating at peak efficiency. Every other aspect of monitoring including availability, network, security, API, data, compliance and disaster recovery are part of the diverse and complex monitoring needs brought about by the advancing tech environment. Luckily, automated monitoring solutions now come in handy with the integration of platforms like PagerDuty, Apache, Docker, and AWS CloudWatch among many others. Boosting your sales and enhancing customer retention is very important in today’s very competitive business environment. This makes an improved customer experience one of the core objectives of your business goals. For this to be realized, your information tech system should be monitored at all times to ensure that its performance, functionality and security are guaranteed. The good part is that modern monitoring solutions that are maintained by the host, quick and easy to install, scalable, can be used of multiple devices and cheap given that they are subscription-based are available. All you need to do is find a good product out there that is tailored to meet all your monitoring needs.